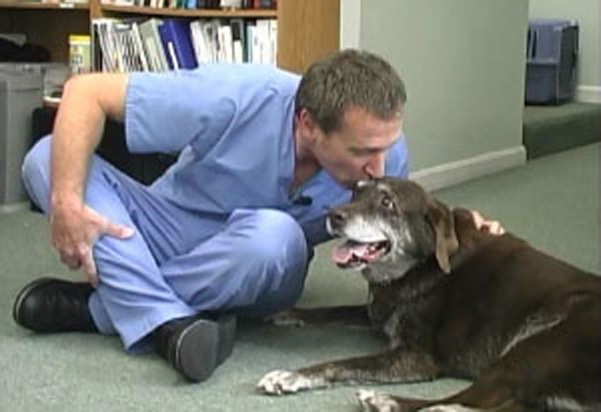 Animals lost their very best friend, advocate and healer on September 15 when heroic veterinarian Joel Woolfson, DVM, DACVS, passed away. 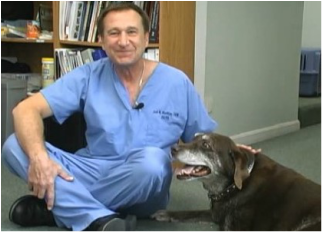 Joel was a brilliant board-certified surgeon who saved and improved the quality of countless lives—including the stray cats and dogs whose independent street rescuers had no ability to pay. At a time veterinary medicine has become big business, Joel wasn’t guided by profit but instead by compassion. Soft-spoken and gentle, he took a strong, courageous stand against the Mass. Veterinary Medical Association when he testified at the Massachusetts Statehouse—leaving a much-needed summer vacation to be there—in support of our humane bill, now law, that unequivocally prohibits dog and cat devocalization. The association vigorously opposed the bill. Joel was Coalition to Protect and Rescue Pets’ veterinary adviser on this issue since 2009, generously giving us countless hours of his time to ensure the accuracy of our messaging. A shy, humble man who otherwise shunned the spotlight, he appeared on TV and radio to help us spread the word about the cruelty of devocalization. He also appeared in most of our anti-devocalization videos (scroll down to see one) despite backlash from other vets. It's not easy to buck the mainstream of your profession. But Joel always took the humane path regardless of the personal consequences. Although the veterinary community acknowledged Joel’s exceptional surgical skills, some ostracized him for his unyielding position against devocalization and declawing. Those who genuinely love animals applauded him. We still do and always will. There was no greater testament to the nobility of the human spirit than Joel Woolfson. We hope more vets—and more people in general—will follow his principled, compassionate lead. Our hearts go out to Sue Carbone, the woman he loved dearly for decades, and with whom he “co-parented” their late dog Annie, rescued from a life of neglect and abuse. If you've been touched by one of Joel’s many acts of kindness or simply admire his deep commitment to protecting animals, please help keep his legacy alive. Join us in contributing to theJoel M. Woolfson Compassion Fund at Annie’s Rescue Ride, the 501(c)(3) rescue organization he co-founded. This fund will ensure that stray dogs, cats and other cast-off animals receive the veterinary care Joel would have given them. Copyright © 2015, Coalition to Protect and Rescue Pets. All Rights Reserved.